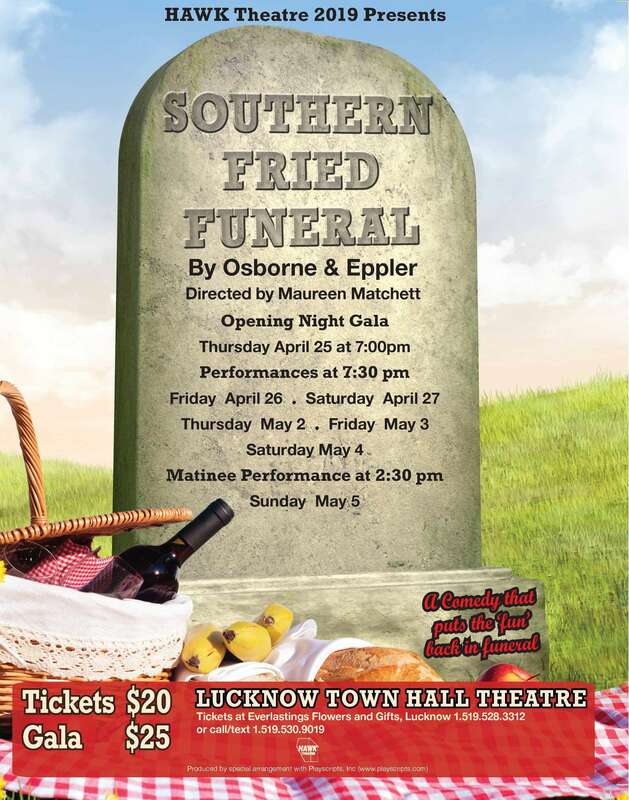 HAWK Theatre presents "Southern Fried Funeral" by Osborne and Eppler and directed by Maureen Matchett. Performances on April 25 (opening gala, 7:00p.m.) and April 26, April 27, May 2, May 3, May 4 at 7:30p.m. Matinee performance at 2:30p.m. on May 5th. Tickets available at Everlasting Flowers & Gifts in Lucknow or call 519-530-9019. Tickets are $20 (Gala is $25).